In this Post: Working as Massage Therapists during times of tragedy can be a challenging feat! 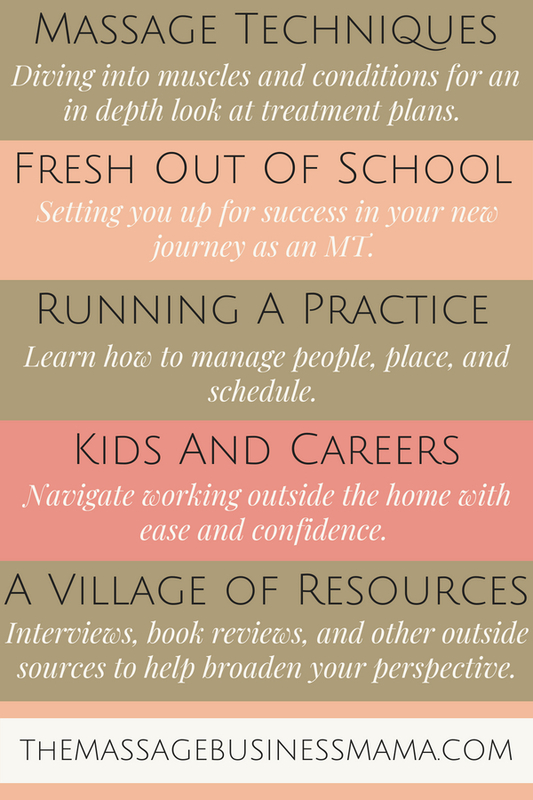 Learn 9 tips to weather this task with more ease and grace. We all have unfortunate occurrences in our lives. Our dog dies, a loved one gets cancer, or there is a death in the family. While sometimes we may want to curl up in a ball and never emerge, work can often be the catalyst which catapults us into healing and recovery. This may seem counterintuitive, but sometimes we need something outside of ourselves to focus on instead of our own pain and misery. Worse yet, we simply cannot afford to take time off during such tragedies. If we have failed to build up a financial reserve we can find ourselves in the unfortunate situation where we HAVE to work to make sure our bills are paid in the midst of an incredibly trying time. Of course, this situation is not ideal, and if we can prevent ourselves from living paycheck to paycheck, we can nurture ourselves better during times of tragedy. Whatever camp you fall into, the working for sanity sake, or the working for posterity sake you will want to tread lightly during this challenging time. Obstacles will present themselves, so anticipate them. And breath! If you have never experienced such loss, you are so lucky but know that one day you too will be in the painful position of losing someone whom you cared for deeply. I’m sorry to say it, but it’s true! For those of you who have or are currently living through a loss or tragedy, I want to start by saying I am so sorry you are experiencing this profound and deep pain! Remember that healing is a journey, and that no two healing paths look the same. Be gentle with yourselves as you walk this walk, get plenty of sleep, nutrients, and loving hugs! Never be ashamed if you need professional help for your mental well-being. Our mental well-being is a delicate thing. Sometimes delicate things need special treatment, soft gloves, gentle hands, and affirming words. If that is what you need during this time, take it, and take it with no shame! In 2008, my brother went missing for 11 days, for 11 days and nights I feared the worst. And then, the worst was confirmed. Indeed, my brother, Trevor J Boehm had committed suicide. Suffering from bipolar, the stigma and pain he experienced from having this diagnosis was more than he could handle. During those 11 days, I could not sit still at my home (rather my parents home where I was temporarily living, chocked full of memories of him) waiting for the news. I simply could not be alone with my thoughts. So, I chose to work. I was fresh out of massage school (2 months out to be precise). All of the clients I worked on during this time had seen me before. Not one was a new client. I chose not to share with them what I was going through, that is I chose not to share with all but one person. The one person I did share with, I had a deeper connection, and I felt that she would know if I held back this information. With the clients I refrained from telling, it was nice to allow my body to do the work it had been trained to do. My muscle memory performed the repetitive moves that had been ingrained over the previous year, and I was able to send my overactive brain on vacation. I was able to dance with the soothing music I played in the background and connect with the tissues before me. This was a wonderful reprieve for me from the anguish I was experiencing. So how do we actually pull off the amazing feat of setting our emotions at the door and working during these trying times? The answer, we don’t. Instead, we hold space for our emotions, while not letting them consume us. We recognize our limitations, and we are nice to ourselves! And we keep in mind the following steps to get us through the days. While I do believe work can be cathartic during times of trouble, I don’t think it would be wise to jam pack your schedule. If you took the approach of squeezing as many massages in as possible, I would worry that maybe you aren’t dealing with the emotions associated with the tragedy at hand. Instead, I would say, come up with a balanced approach to work. If you are having trouble sleeping, maybe don’t schedule yourself first thing in the morning. Or if you have a client who is emotionally draining, wait to see them until the dust in your life has settled a little. Take each day as it comes and adjust according to what you find you can handle. Getting back to the idea that it is important to deal with the emotions you are experiencing, prayer and/or meditation can bring profound peace to a wounded soul. While you may be angry about the situation at hand, if you can slow down and try to connect with source you may find answers and revelations you never expected. Make sure that you are spending adequate time with people who can support you through this tough journey. If you don’t feel like you have these type of people in your life, reach out to the professionals. There is no shame in talking to a therapist! And just because you need to talk to one for a couple weeks or months does not mean you will always need this type of help. Sometimes we can’t help but be angry or in denial about a particular situation, talking out these feelings and beliefs can help guide us to the next step in the grieving process. And you are grieving! I first titled this section “eat healthy,” but then I changed it to just “eat.” Because really during these times the last thing on your mind is eating, much less three square meals. During times like these people may be offering to make or buy you food. Allow them to do this for you! You need sustenance for your body to operate. I’m sure you have little appetite, but remember that putting fuel in your body will help you weather these changes with more grace and ease. Chances are good you are dehydrated. Refill your tank with plenty of refreshing and rejuvenating H20. Your cells will thank you! Obviously, this can be challenging when we are going through these times, so maybe it means setting yourself up for a more successful sleep experience. Spending 10-15 minutes before bed meditating or practicing deep breathing. Turn off the tv, get to bed a little earlier than usual, allow yourself to sleep in if your body will let you, which again may mean not seeing your regular 8 am client for a while. When it comes to the actual hands-on work, grounding is going to be one of our most essential tools. While I think grounding is one of our most important tools as massage therapists period, during times of loss, this is even more so the case. For tips on how to practice grounding check out 5 Grounding Techniques for Massage Therapists. When we can concentrate our thoughts and energy on what is going on with our clients, not within ourselves, we are capable of giving amazing treatments in spite of the wounds we are experiencing. I believe it is okay to let our clients know what is going on in our lives. Of course, we don’t want to overshare, or dwell on our own issues, but keeping them in the loop when big things occur can be appropriate. Explain to them how it is helpful to work during this period. That work is a respite for your tired brain and soul. If you have regulars, they will understand and be happy to walk this journey next to you. Also if you express to them what is going on, they will be much more understanding if you need to cancel an appointment as you are going through this tough time. On the flip side, don’t share before you are ready. We have all been there, where we share something with a client and they ask a million questions. If you aren’t ready to discuss what is going on, it is perfectly okay and understandable to hold back as well! As you grieve, know that your loved one lives on in the memories you share and the ways you choose to honor their life. When we find ways to show what a special being they were we can feel joy while relishing in their memory. When emotions run high, we are at our ‘rawest’. This is the most natural time to connect with others. Our souls are not distracted by all the peripheral noise that so often consumes us. Instead, we can relate from a deeper place where the important things in life take precedence. Being able to focus on our clients needs can bring gratitude in a time when we need these type of affirmations. 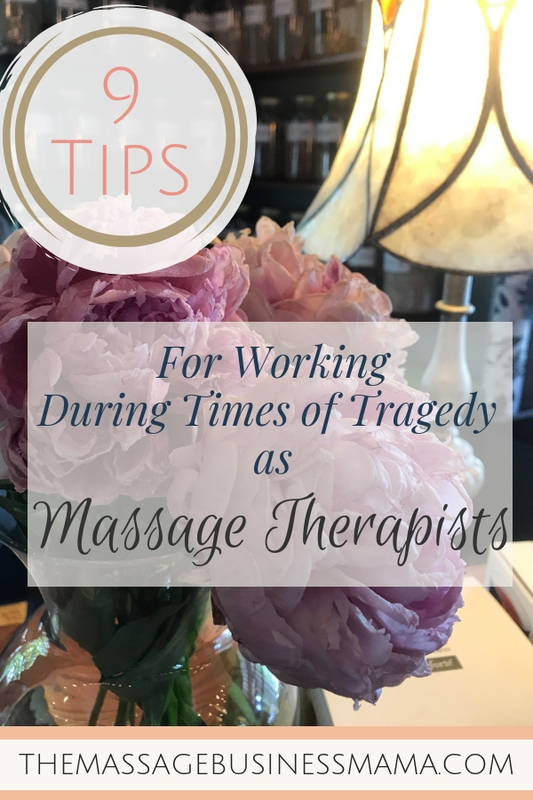 Since my first tragedy as a massage therapist, I have worked through grandmas dying, clients dying, friends getting diagnosed with cancer, a divorce, and a couple of serious injuries that felt like tragedies. Check out Help I Can’t Work – 7 Tips For When Life Disables You As A Massage Therapist, for more on working with injuries. Our clients have also experienced these major life events. And every time I encounter such an event, I think it strengthens me as a therapist and a human being. My empathy meter is expanded, and I am better able to hold space for those around me. To honor my brother and bring awareness to the mental health crisis in our country, my family published a children’s book titled “Louie’s Saxophone” which my brother wrote and illustrated while he was still alive. All of the proceeds from the sale of this book are donated to various mental health organizations to help further the cause. To learn more about my brother, find resources if you struggle with a mental illness, or to purchase the book, click here. It is a beautiful story that teaches both young and old of the importance of thinking outside the box to come up with solutions to the problems we are presented in life. Of course, I’m not biased or anything. Once again I am so sorry if you are currently grieving! Maybe you choose to work during this time, or perhaps you don’t. Either way, be as gentle as you can with yourself as you walk through these times! If you need to reach out and get professional help, do so! And though it may not seem like it now, life will go on, and you will get through this!